CIA Solutions provides formal classroom and customised computer forensic courses at varying levels. Our training staff are Australian nationally accredited instructors holding certificate IV training qualifications with over 10 years experience in training law enforcement, military, corporate, small business and university staff and students across Australasia. Our lead instructor Phillip Russo has written papers on computer forensic training and education within law enforcement and these papers have been published within Moscow Russia and West Point USA. 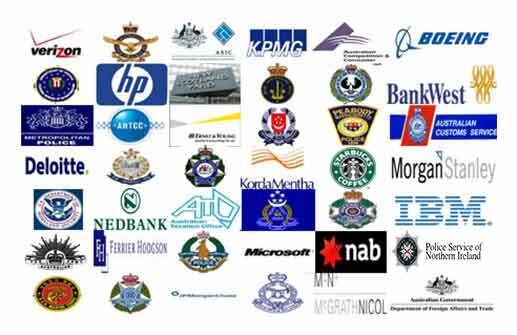 Phillip has delivered computer forensics courses to some of the world's greatest agencies and corporate entities (see image on right).